We’re announcing ACT!v16 Service Pack 1 (Hotfix 1) has been certified for TrilogyCRM hosting customers! What does this mean for you? 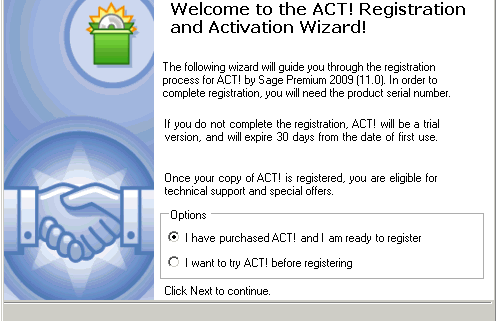 We’ll if you are using ACT!v16 and hosting with TrilogyCRM – you will be required to run this update. Be sure you are an Act! Administrator. You’ll be prompted to update the database when you open it after installing SP1. Only Admins can update the database schema. Click on the link for your version – Pro or Premium (If you aren’t sure of your version, open Act!. Click Help, then About Act!. Your version is listed there.) All hosting customers are on the Premium version and should download ONLY the Premium files. Follow the prompts to install the Service Pack. Once the service pack has been successfully installed – you can continue to download and install Hot Fix 1 (instructions below). To apply Hot Fix 1, download it from http://www.act.com/support/download-center/, following the same process as installing Service Pack 1. Download the ACT! Service Pack 1 Hotfix 1 file from the Download Center. Run the Hotfix 1 file. Now that you have upgraded to Service Pack 1 AND run the hot fix – it’s time to open your database and update the schema. Open your database. You SHOULD get a message indicating that the database needs to be upgraded and asking you if you want to backup your database. It’s a good idea to backup your database but not completely necessary. Since you are hosting – we have a way to recreate your database from the server should something happen. If you run into any errors or issues installing the service pack our technical support team will be available to assist you. Please initiate support by emailing support@TrilogyCRM.com and be as detailed as possible when explaining your issue. Tech support is available for hosting customers who have attempted the installation and encounter errors. If you prefer to have Tech Support process the update for you – additional billable support time will be incurred.